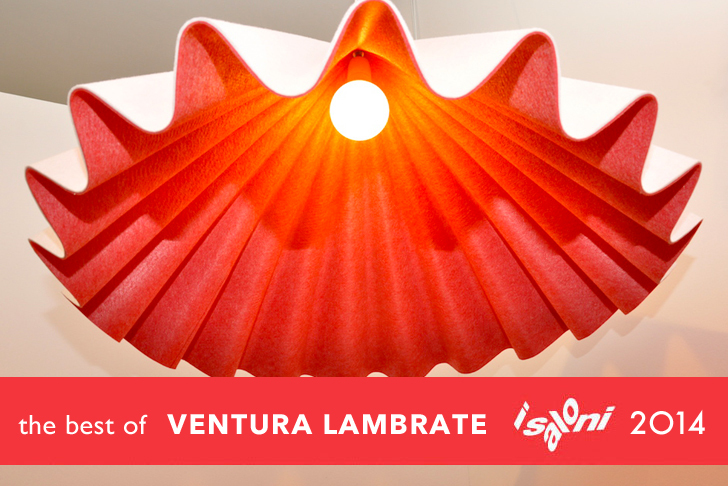 Every year, Ventura Lambrate turns an industrial area east of central Milan into a must-see design destination during Milan Design Week—and this year's event was no exception. Salone del Mobile: is the only area that's fully curated, and is now celebrating its 5th exhibition. Design schools showcase the work of their students here, and more established brands and designers show their latest work here as well. 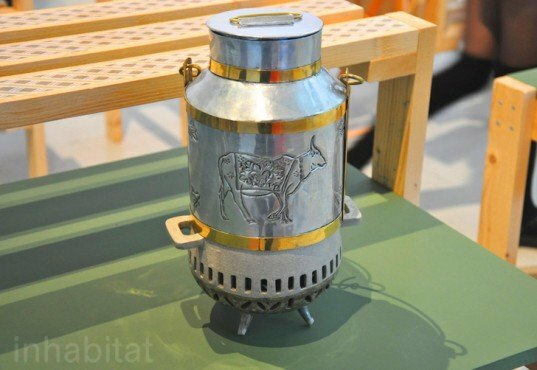 This year, a great number of sustainable design projects could be found as designers have included social and/or ecological aspects in their work. Studio Makkink & Bey designed a cheese maker for Imperfect Design, which consists of 9 different elements crafted of wood, ceramics, copper, and iron, respectively. The designers worked with different craftsmen in India to create the piece, which is now being used in a program that helps to help empower and educate women and children in the Jaipur region. 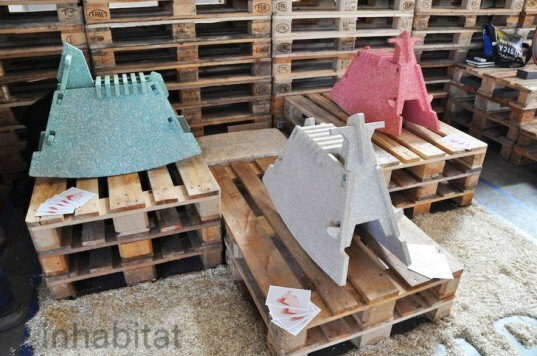 A group of Australian designers known as Field Experiments worked with hand-woven Indonesian rattan to create unique coverings for recycled plastic bottles. 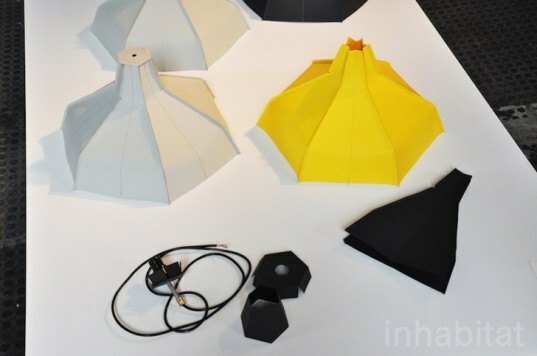 Dutch designer Pepe Heykoop added a new product to his range of paper accessories: a lamp that can be flat-packed for transport and storage. He now provides work for 62 people who live in a Mumbai slum. 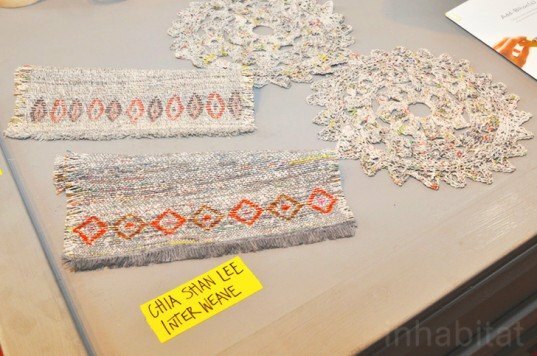 London-based textile artist and designer Chia Shan Lee makes crocheted coasters and placemats from yarn made of recycled newspapers. In her eyes, newspaper yarn can be used as a “storytelling material”, especially since the stories held in the papers is literally re-knit into new tales. 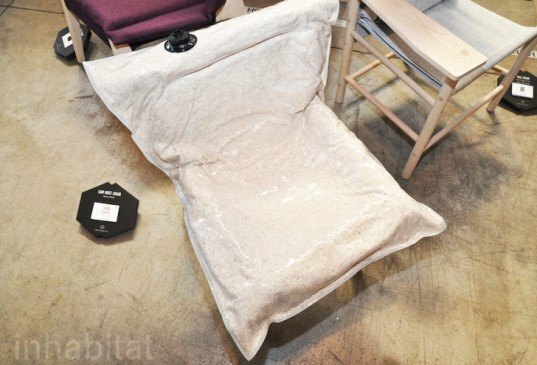 Using just hemp and no chemical additives, these rocking chairs are made by compressing the material in a mold. The chairs’ designs are by Henry and Co, and the pressing technology is by Canapalithos. 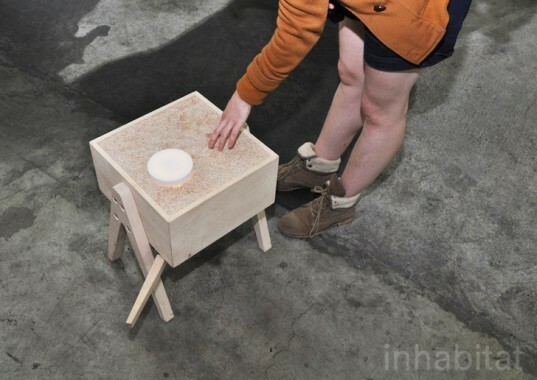 The surface of this table is made of many tiny wooden sticks: When an object is placed on the table, it leaves a dent. By Noelle Mulder. 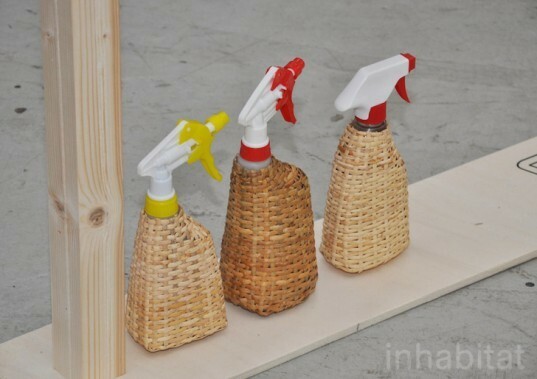 “Patches”, by Polish design studio Bezaprojekt, makes broken furniture (or any other object) whole again. Danish designer Johanna Riedl used the sawdust from the chair frame’s production to form the seat and backrest of what is now known as “The Sawdust Chair”. 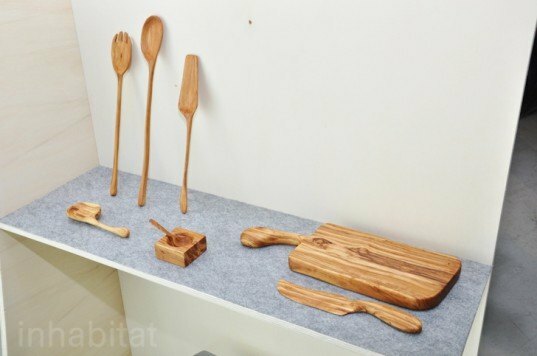 When the old olive tree in Anna Lize De Lorenzo’s garden was felled, this Australian designer claimed the log and created 100 unique products using its wood. “Stik” is a chair that’s made of a bundle of natural sticks that are tied together and cut with precision. Designed and created by Johan Jeppesen and Jesper Su Rosenmeier . 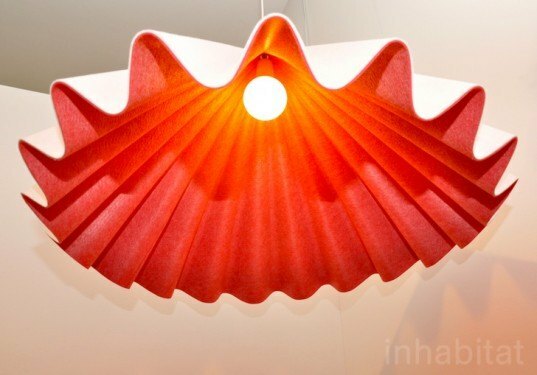 This felt lamp is made by Danish design duo Iskos Berlin, without the use of any glue or resin. The Australian collective Supercyclers is making plans to recycle hundreds of thousands of used straws. 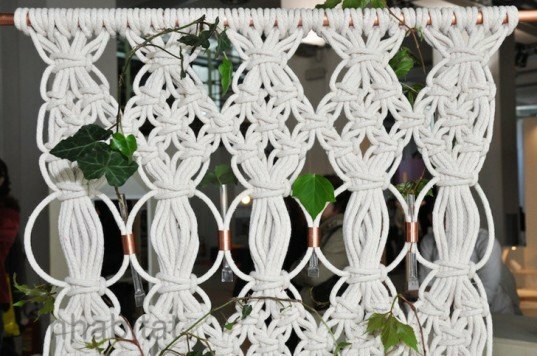 In this macramé room divider, straws serve as tiny vases for flowers and plants. 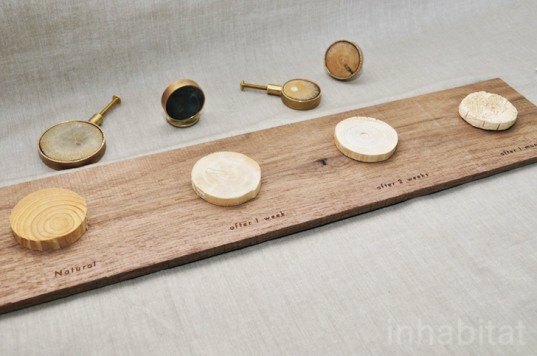 The folks at Studio by Color are fascinated with natural aging processes, and are using wood of different ages for their decorative and jewelry pieces. 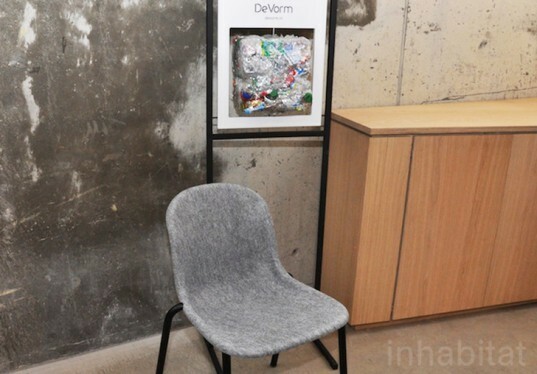 De Vorm uses a unique compressing technique to transform masses of PET bottles into seatings for chairs. They are currently working with designers Laurens van Wieringen and Benjamin Hubert. London-based textile artist and designer Chia Shan Lee makes crocheted coasters and placemats from yarn made of recycled newspapers. In her eyes, newspaper yarn can be used as a "storytelling material", especially since the stories held in the papers is literally re-knit into new tales. 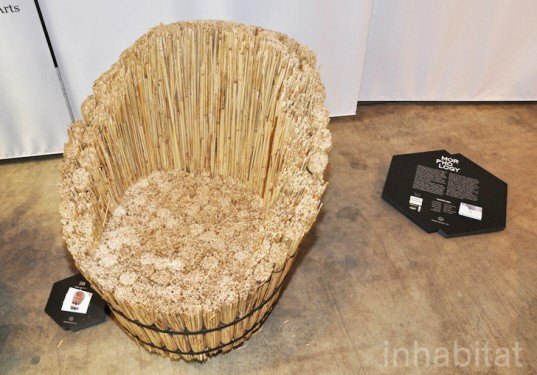 Using just hemp and no chemical additives, these rocking chairs are made by compressing the material in a mold. The chairs' designs are by Henry and Co, and the pressing technology is by Canapalithos. 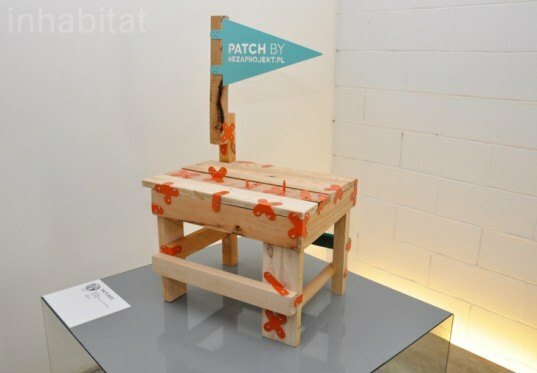 "Patches", by Polish design studio Bezaprojekt, makes broken furniture (or any other object) whole again. Danish designer Johanna Riedl used the sawdust from the chair frame's production to form the seat and backrest of what is now known as "The Sawdust Chair". "Stik" is a chair that's made of a bundle of natural sticks that are tied together and cut with precision. Designed and created by Johan Jeppesen and Jesper Su Rosenmeier .